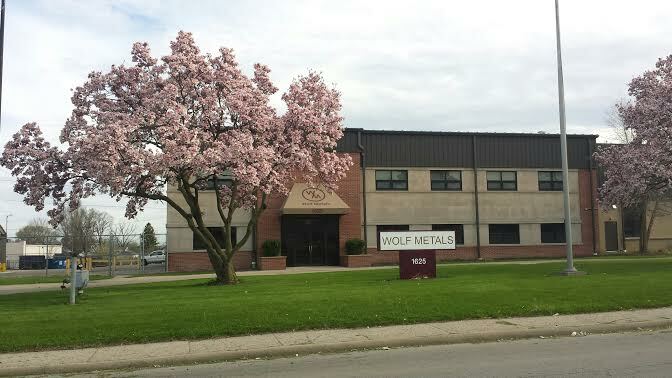 Wolf Metals is a metal manufacturer founded in Columbus, Ohio in 1974 by brothers Mike and Jim Wolf. Located on the city’s west side, Wolf Metals has been serving the community for more than four decades. The small, privately-owned, family-run business continues to have marked success without having to change its original mission to provide quality parts to loyal customers. The Wolf family is proud that their business thrives off of customer referrals. Wolf Metals continues to offer customers what it has for years: The best product at the best price with no hassle. Jim Wolf is a co-founder of Wolf Metals and has been in the metal manufacturing business for more than 40 years. He started as a sheet-metal worker and did personal projects out of his brother’s garage at nights and weekends. Eventually the demand for work outgrew the available time and space. Jim says he “got lucky” and has enjoyed his career as a metal manufacturing business owner since the 1970’s. Jim credits the blossoming of his career, from an employee to an employer, to the owner of Donato’s pizza, Jim Grote. He trusted the Wolf brothers to make the metal parts needed for pizza production throughout the chain’s early years. This demand kick-started Jim’s private business and he has yet to slow down. Now, decades later, Jim runs the business with his two sons, Mike and Pat, in a 70,000-square-foot-space on the West Side of Columbus. Jim is dedicated to keeping the business professional, but personal. Mike is the oldest son of Jim and is now plant manager. Mike enjoys working at his father’s company and continues to make sure it stands by its founding principles: To give the customers the best quality in service and product. It was Mike’s upbringing that has helped him learn how to be both an effective employee and manager. As a child, he began sweeping the floors and helping his father’s business in any small way he could. He continued working part-time, even through his college experience at The Ohio State University, and never grew tired of it. It seemed that Mike knew he was meant for this business his entire life. After graduation he became a full-time employee at Wolf Metals. Mike takes pride in keeping Wolf Metals on the cutting edge by incorporating new technology into the plant. Pat is the youngest son of Jim and has worked in the shop since he was six years old sweeping and cleaning on the weekend. By the time he was eight years old Pat learned how to run the company’s first laser machine. After graduation, Pat became a full time employee. He also attended trade school for four years. He has a tremendous ability to fabricate any part that needs made. Pat has also mastered the new style equipment, which takes great knowledge and patience when it comes to using the computers on these machines. Pat is a great asset to Wolf Metals and will be for years to come.